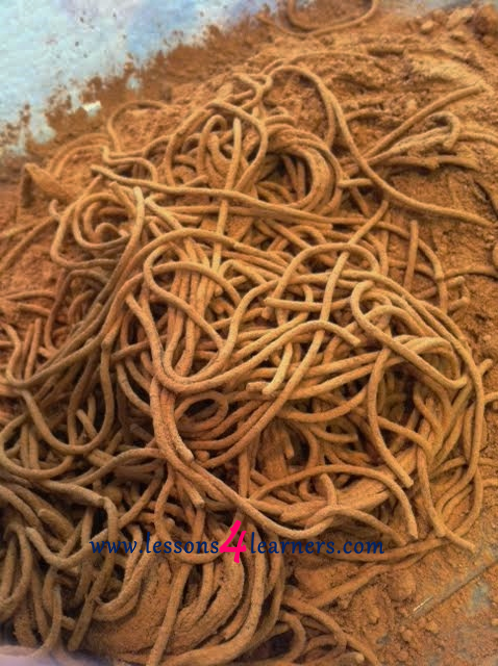 After cooking and draining noodles, put them in the large bin along with several cups of cocoa powder. Place bin on the ground and sit with child in your lap. 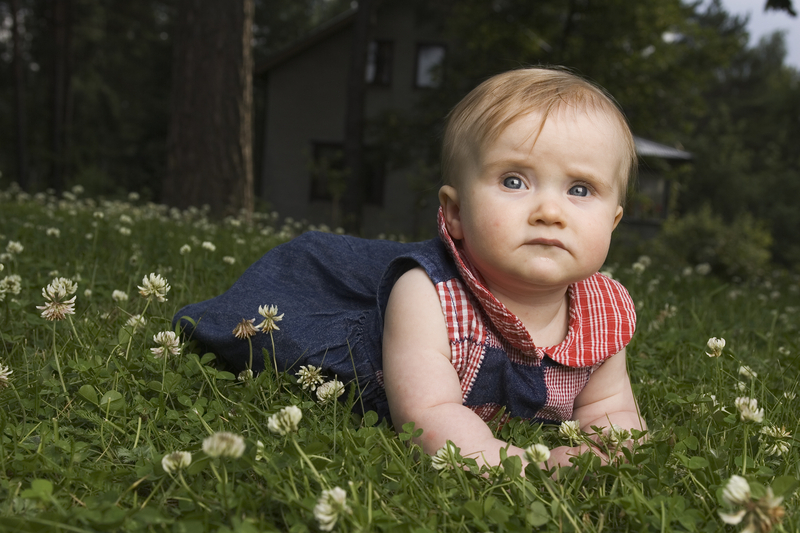 As they begin exploring, talk with them about what they are experiencing. Have a conversation and ask questions involving their sense of touch. 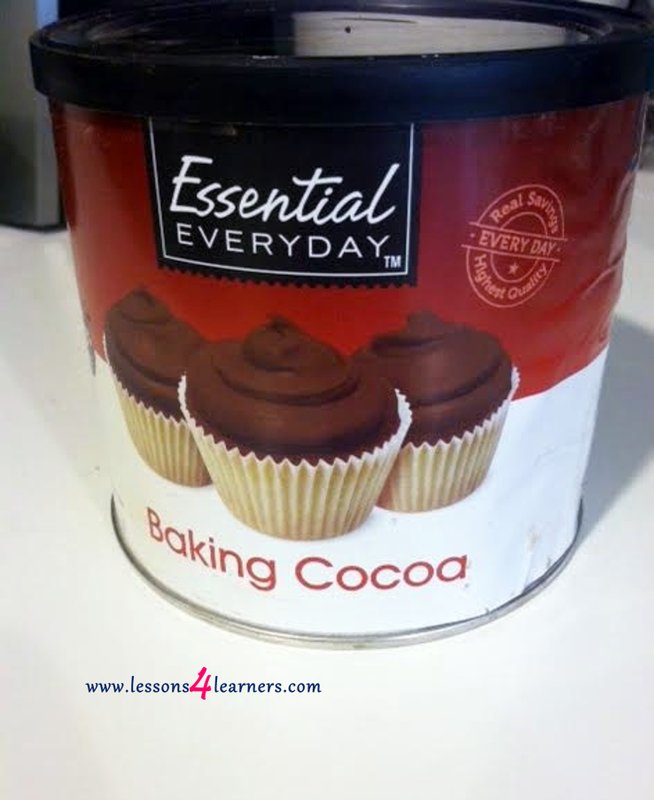 Remember to use descriptive language and introduce new vocabulary during the lesson. 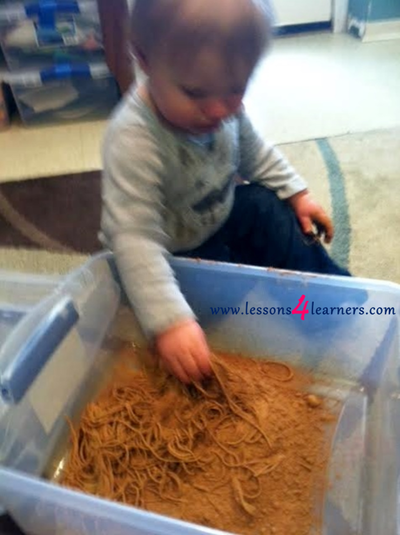 Observe and record how the infant reacts to the noodles and powder.